How to Upload template in Blogger . 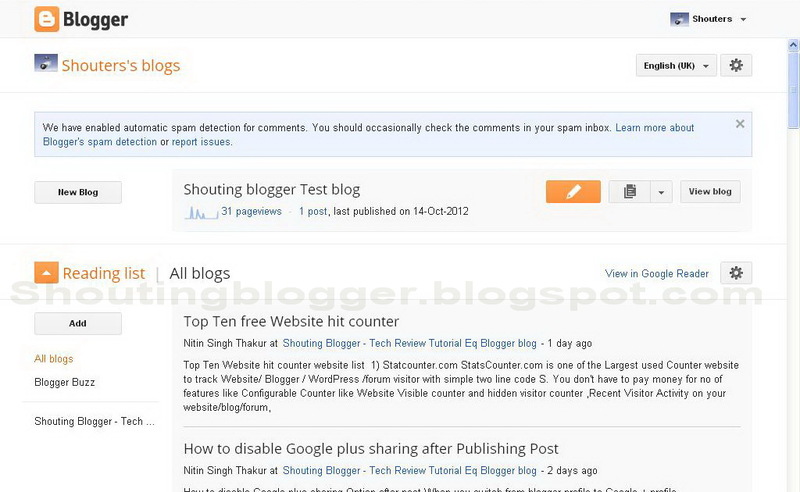 Blogger is one of the free blogging platform that let there blog owner to have full control over their blog template, you can customize your blogger template or upload brand new blogger template with just one click all your need to do is to find blogger supported blog template in .xml format and upload on your blog .In this article we will show you step by step guide on how to upload blogger template. 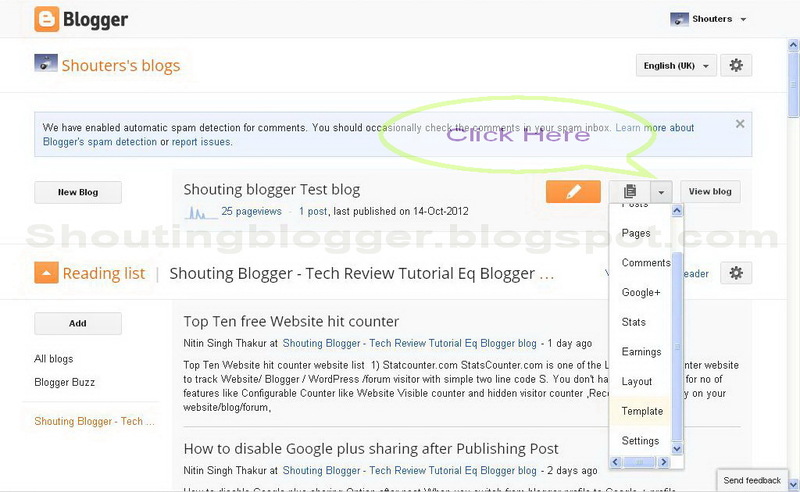 Be aware of the fact that uploading new blogger template will remove or damage the existing widgets used in blog. 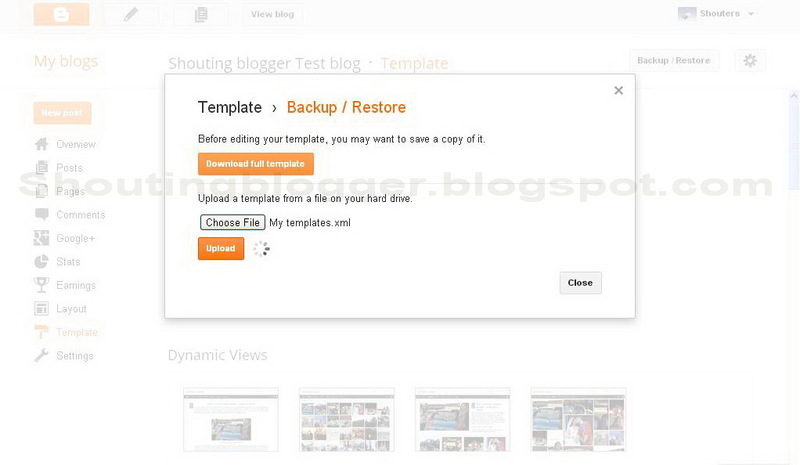 Before getting started with step by step guide to to upload template in blogger blog, make sure to backup your blogger template so that in case something goes wrong you may recover your original blogger template. 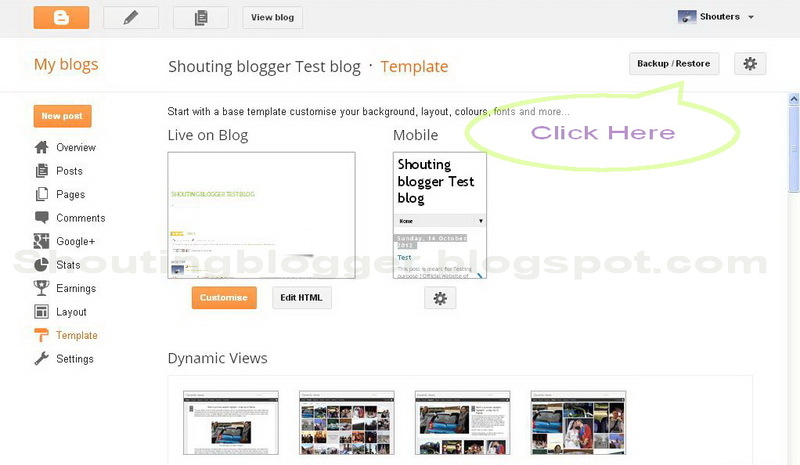 Select your blog in which you want to upload custom template . 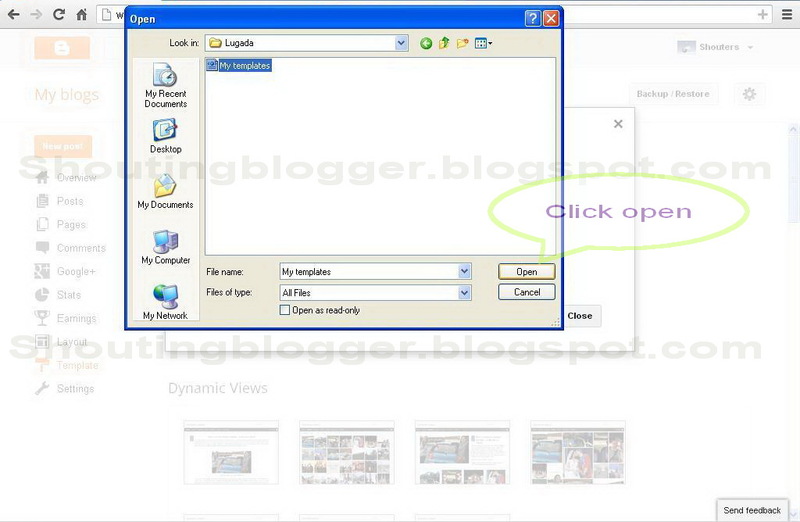 ( There are two way by which you can access your blogger templates window . 1)Enter your blog whose Templates is to be managed ( By clicking on your blog name ) , Click on Templates located at just right of your Blog (Refer Figure T.1 ) 2) Via Drop down Icon of blog (Refer Figure T.2 ) . 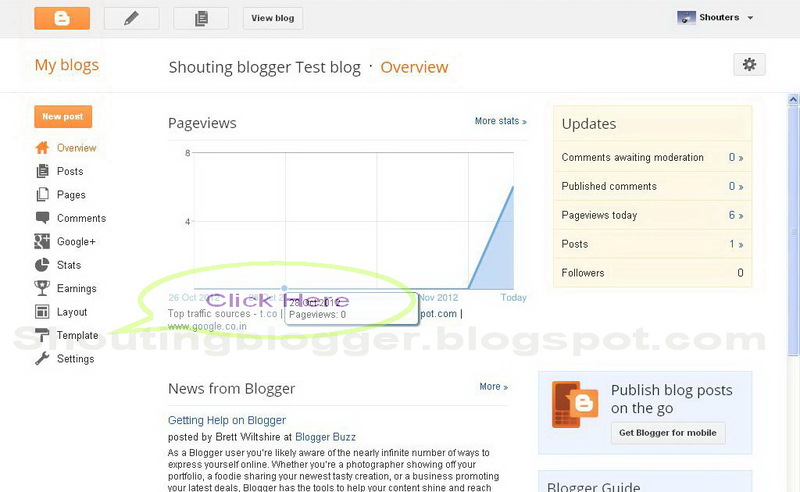 Click on drop down button of your blog , A blog in which you want to upload Template . ( Refer Figure 1.2 to find our drop down button location) , Click On Template . Browse your custom blogger template you want to upload and click open as shown in Figure 1.5 ( Note : Make sure you have blogger template in Xml formats ) . Once you see your template name just at right of Choose file option then , Click on upload and wait till full template is going to uploaded . 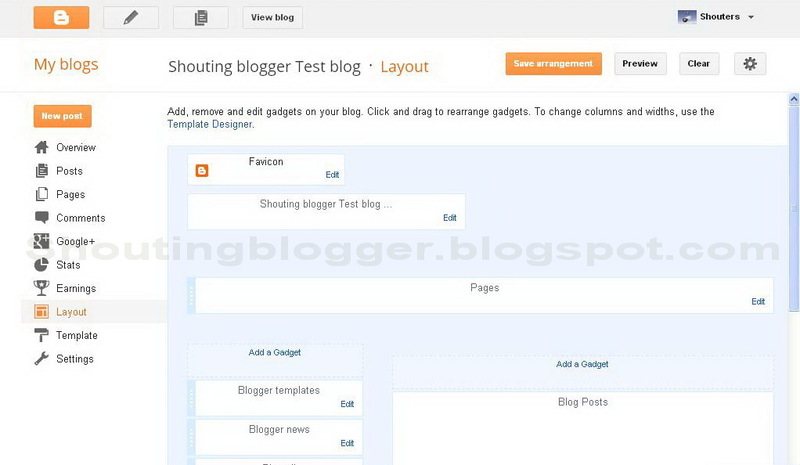 usually blogger template are of small size around 50 KB to 500 KB . 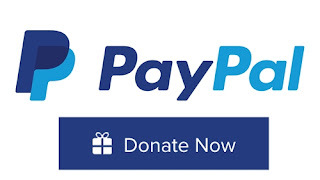 So uploading will take around 1 to 10 second . (Refer Figure 1.6 ) . Once your template is uploaded then Click on Close Button . 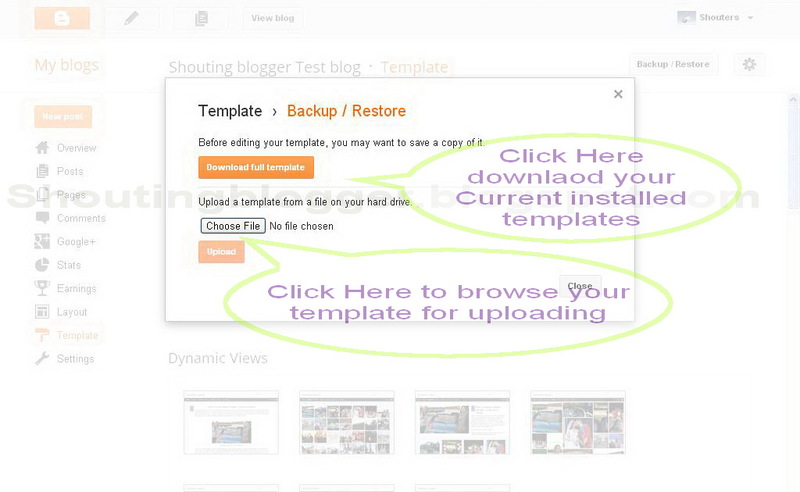 Watch on youtube "How to Upload template in Blogger "